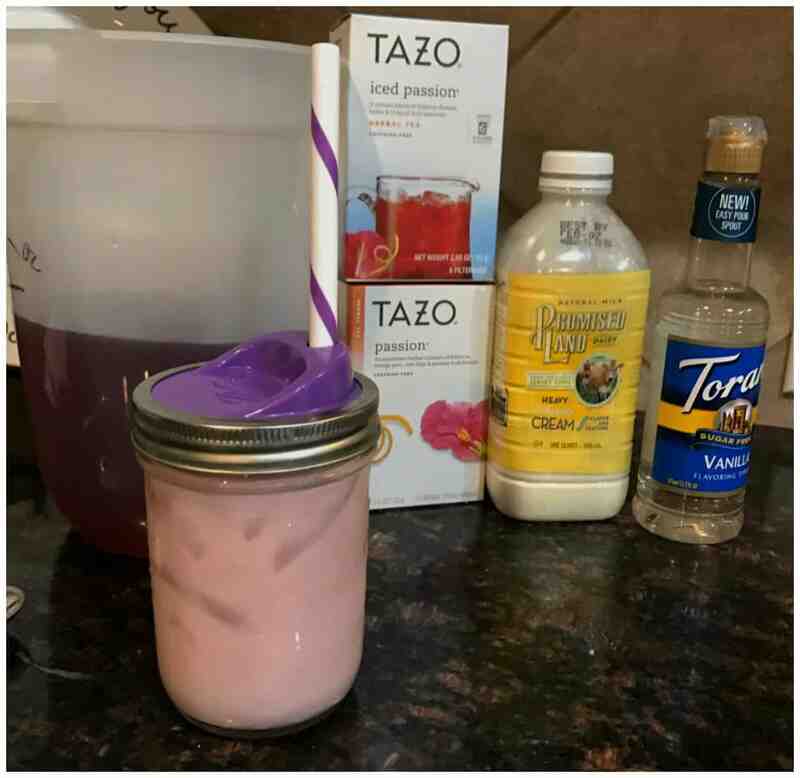 I promise that you will fall in love with this Sugar Free Passion Tea Latte Starbucks Copycat Recipe that is completely Keto Friendly! 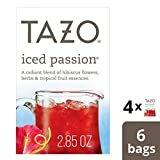 I’m not sure if my taste buds have changed since doing the keto diet or not but this passion tea is definitely a treat! The best part is that I can make it at home and save the $5 too! 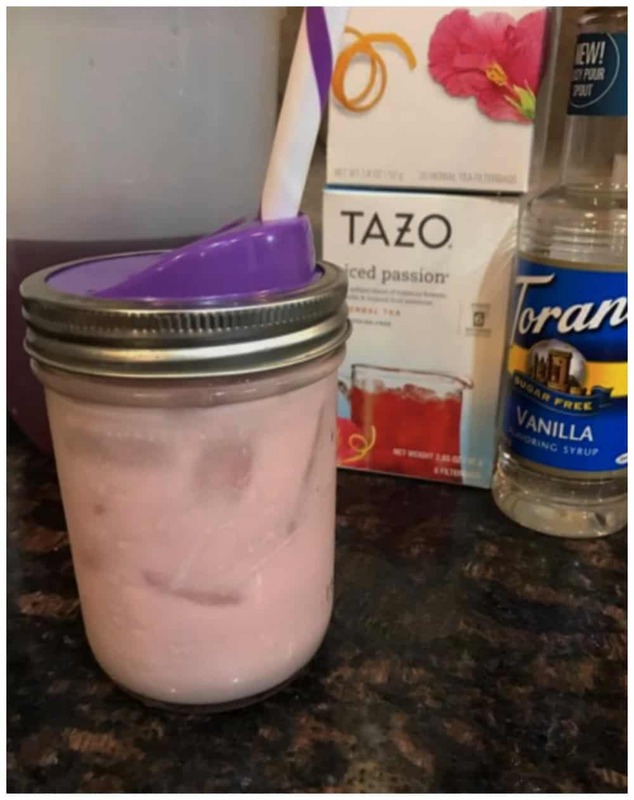 Starbucks just recently changed their passion tea to now have mango pieces in it which means sugar and sugar is a no go on the keto diet. 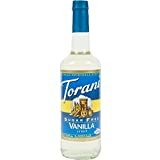 The Starbucks Sugar Free Vanilla syrup also has maltodextrin in it which is also a no go on the keto diet. At this point I’m just happy to be able to make a delicious drink at home and I know exactly what is going into it. 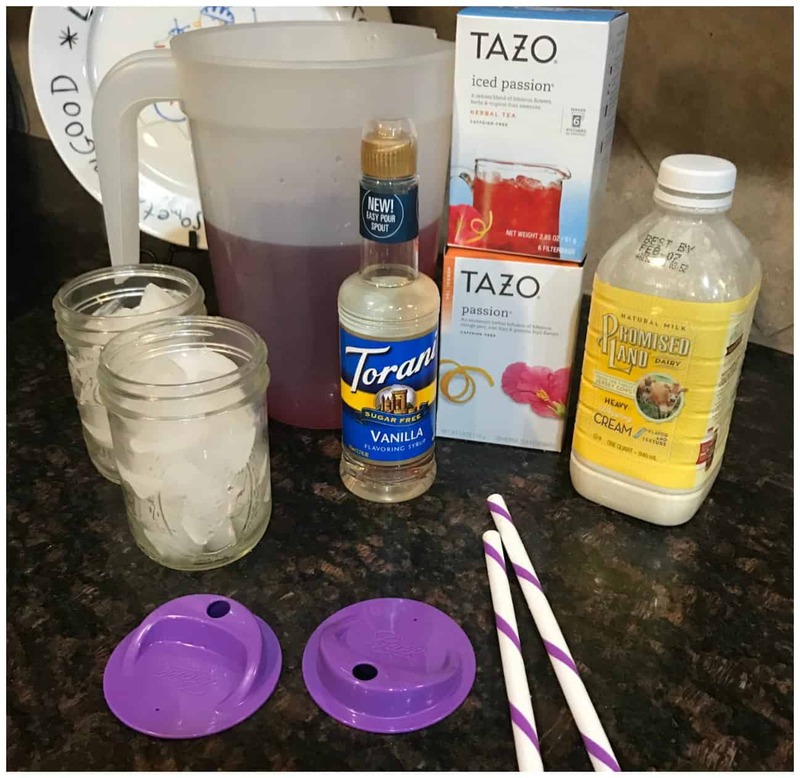 Tazo makes a passion fruit tea and a passion fruit iced tea! You can make it my the pitcher full too! 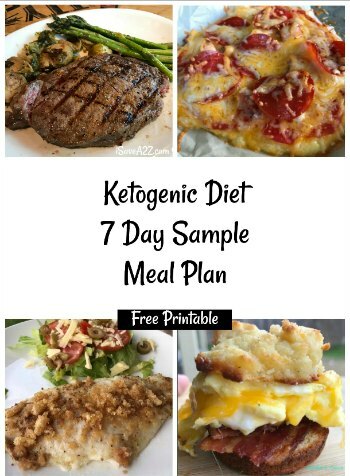 If you are new to the Keto lifestyle I highly recommend reading over this article that explains the Simple Way to Start the Ketogenic Diet. 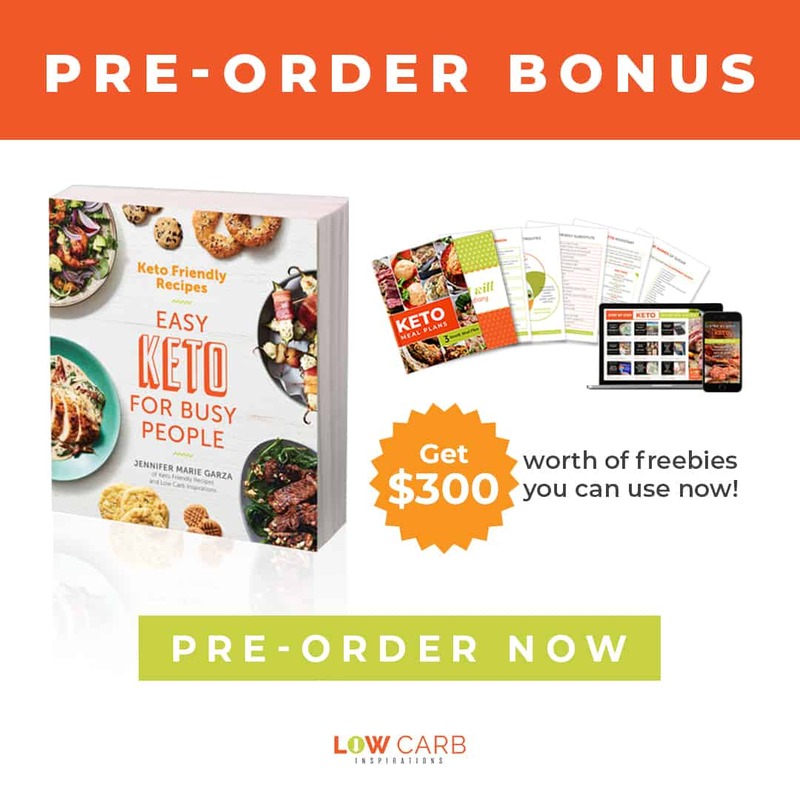 It’s basically a non technical explanation of how the diet works and what you need to get started. This way of eating is changing lives y’all! Seriously! 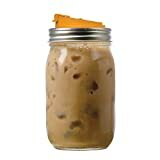 Update: I’ve gotten a lot of questions about the lids I used on my wide mouth mason jars. 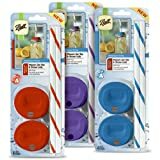 I’ve purchased them off of Amazon and use them almost every day! They come in a few different colors too! I use the wide mouth jars but they also make some for the regular mason jars as well. 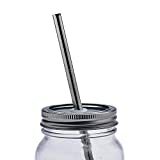 Mason Jar Metal Straw and Lid x 2 & Free Bonus Cleaning Brush! 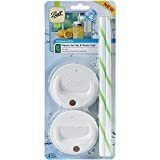 Spill Free! 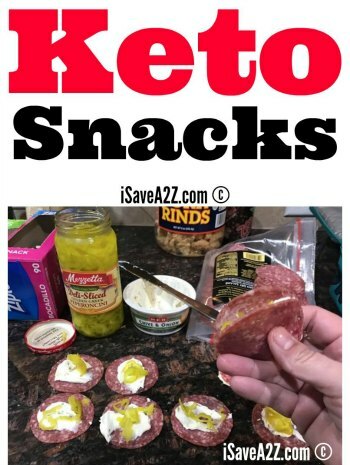 We have a page on Facebook dedicated only to really good Keto Friendly Recipes that you can follow here. We have also created a Group on facebook called the Low Carb Inspirations group so we can have discussions about recipes or problems we want to talk about. Feel free to join the group here too! 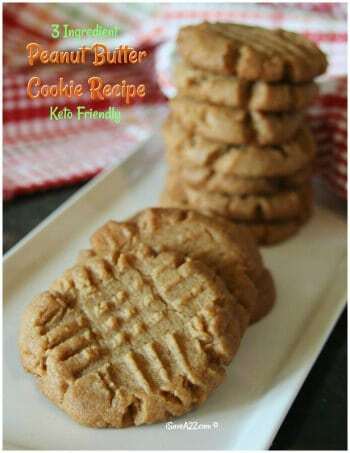 By Jennifer on February 26, 2017 Keto Breakfast Recipes, Keto Dessert Recipes, Keto Friendly Recipes, Recipes.